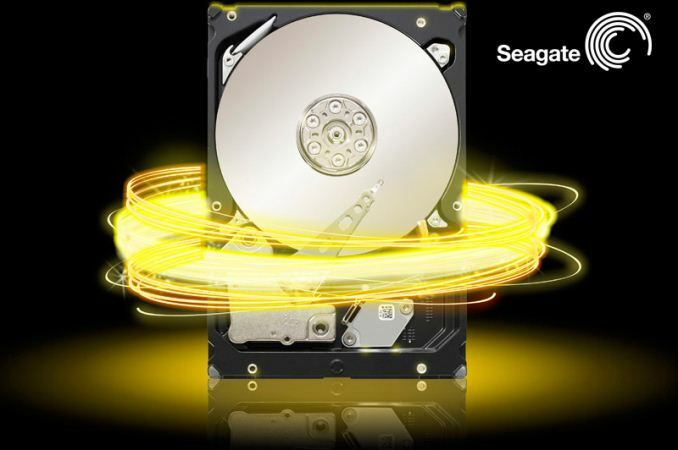 Seagate introduced its new Multi-Actuator Technology (MAT) for hard drives earlier this month. It promises to increase hard drive performance by using two or more sets of actuator arms that operate independently from a single pivot point. Seagate claims that next-gen HDDs will require higher performance to effectively take advantage of their increased capacities. It plans to use MAT in their datacenter hard drives going into pilot production in 2018. 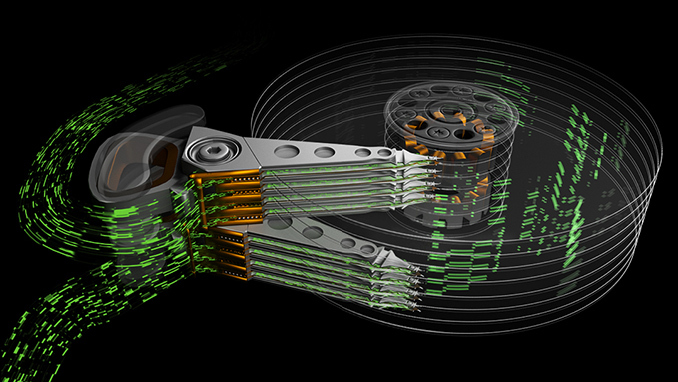 To improve the performance of next-generation hard drives, Seagate proposes to install not one, but two (or more) sets of actuators into a single HDD. The actuators are to be equipped with their own arms/heads as well as magnets to position them, but will use one pivot. As a result, the actuators will be able to act completely independently, essentially creating parallelism within a single hard drive. With an architecture like this, IOPS performance will scale with the number of actuators. Aggregate read/write performance of hard drives will also increase, but since it will depend on many factors, it is too early to make predictions regarding throughput of next-gen HDDs. The additional components required for two independent actuator assemblies (and a considerably more sophisticated HDD controller) will make such hard drives more expensive to build when compared to today’s models. This could be one of the reasons why Seagate plans to use its Multi-Actuator Technology only for hard drives designed for datacentres, where hardware costs are not as crucial as performance and features. The first-generation MAT-enabled HDDs are to use two actuators operating on a single pivot point (along with 8 platters and 16 heads), but going forward the number of actuators may grow. Seagate says that the host computer can “treat a single Dual Actuator drive as if it were two separate drives”, but stresses that logically the HDD will remain a single device with two access streams for communication, just like dual-port SAS drives do. Meanwhile, Dual Actuator HDDs will be able to use not only SAS, but also NVMe and SATA interfaces. In the best-case scenario, a hard drive with two actuators can double the random read/write performance and almost double the sequential read/write performance compared to today's hard drives. The sequential access case is a bit tricky, since the cylinder height gets halved with two actuators, and a lot depends on how the addresses are translated to the actual physical sectors. The arrival of new magnetic recording technologies in the coming years will significantly increase capacities of hard drives for cloud/exascale datacenters to over 20 TB by 2020 and to 40 TB within the next five or seven years. The upcoming HDDs will increase their sequential read/write performance along with the increase of their areal densities, but when it comes to latencies and random read and write operations, things get more complicated. The current HDD architecture uses a single actuator that synchronously moves all the arms with read-write heads over the media together for reading and writing data. With such an architecture, the platters can only work on one request at a time. Meanwhile, the more data an HDD stores, the more requests it gets and the more time it spends seeking the right track/sector. If/when fulfilling a request takes too long, quality of service (a metric dear to datacenter operators) suffers. Today, the performance bottleneck is solved by using either NAND flash or multiple hard drives in parallel, effectively combining their performance for certain access traces. At some point, this approach may become inefficient due to power/complexity and other factors. Therefore, it is imperative that HDDs get faster in order to cope with tomorrow’s workloads. Seagate says that the Multi-Actuator Technology is to be deployed on products in the near future, but does not disclose when exactly. As the company’s blog post on the matter mentions both MAT and HAMR, it is highly likely that commercial hard drives featuring HAMR due in late 2019 will also have two actuators on a single pivot. At the same time, it does not mean that the MAT is not going to find itself a place in products using conventional PMR. I was wondering when a company was going to step up and do this. They should also have a second set of actuators on the opposite side of the platter. They could boost performance to the point where hard drives become competitive with SSDs. If they could get performance up to the level of a SATA SSD, many people would be willing to pay the premium. a 4TB drive that performs like an SSD for $250? I'll take 4. If the HDD read speed were infinitely fast, a 5 ms seek time means 200 IOPS per actuator. Getting to even 1000 IOPS would require an insanely fast read speed and 5 actuators, which doesn't seem too likely. >not far off from the 2k-8k IOPs a busy Samsung 840 Pro SSD will do. Responding to OP’s idea of multiple actuators, given that a single HDD today is good for up to 150 IOPs, we could assume about 150 per actuator. Taking the idea to a logical advancement of say 8 distinct actuators (maybe two pivots on opposite sides of the platter with four distinct heads each) you’d get over 1k IOPs. "but you could realistically get a spinning disk up to low 1000s of Random IOPs with multiple actuators, not far off from the 2k-8k IOPs a busy Samsung 840 Pro SSD will do." Try improving on the best case scenario / not the worst!